Have you ever wondered where the time has gone? As you sit reflecting back on the past day, week, month, or year, do you think “Wow, time went by so fast! What happened?” (I find myself saying every Sunday night, “Where has the weekend gone?!”). And that’s exactly what I’m thinking right now. I literally can’t believe 2015 is over already! 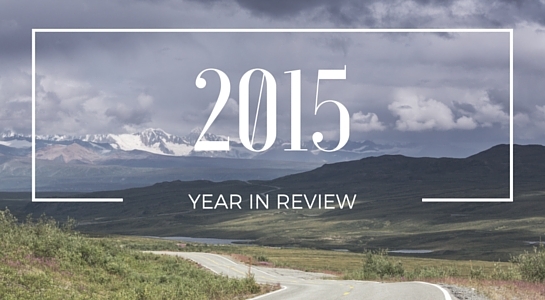 It seems like just a few weeks ago I was writing my 2014 in review blog post. I guess time flies when you’re having fun. Or when you’re busy. As someone who is obsessed with productivity, getting things done, and trying like mad not to waste any of my precious time, it never ceases to amaze me when I feel like I’ve lost control of how quickly time seems to be passing. And it seems to be passing faster the older I get! Anyway, back to last year. What have I been up to? 2015 was another busy year for me. I attended and spoke at a few conferences and events. I posted 23 articles to this blog, as well as another 10 articles to other web sites (listed below). Also, I recently started a new job as a .Net SharePoint Developer for Digital Managment Inc (DMI). DMI is out of Maryland but I am working remotely from my home office. I’ve been on the job for about 9 weeks now, and I love it so far. I’m doing custom SharePoint development for a government client. We just completed the design phase for a large project for them and development is now underway. So far I have planned to speak at the Collab365 Summit which is scheduled for May 10-12, and I have an upcoming webinar that I’m presenting with Intlock on March 24. At this time I don’t have any other solid plans but I’m sure things will change. I want to take this time to wish everyone a happy, safe, and prosperous new year! I’m looking forward to 2016 and will continue to share my insights and experiences with SharePoint, Office 365, and other topics on this blog and around the web. If only I could slow down time while I’m at it.